As a high school prospect, Jase Febres was known for his quick-release shooting stroke. His ability to make shots at a regular rate was expected to be an important part of an offense last year that drew a lot of attention inside to lottery pick Mohamed Bamba. The only hint of Febres’ shooting ability came in the first half of a conference game at Baylor. Aside from that blistering start, Febres’ was limited as a one-dimensional player whose one dimension was, at times, not all that great. This season, Febres is starting to play more and more to his billing of a perimeter shooter who can stretch the opponent’s defense. Febres has started every game this season, is playing four more minutes per game, and is making one more field goal per game than last season over six games. In addition to making one more FG per game, he’s also hitting a higher percentage of shots from behind the arc. At 39.4 percent, Febres is shooting nine percentage points better than his freshman campaign. He’s made a shot from deep in every game except for the most recent loss against Michigan State, with a season high four three-point makes coming against The Citadel. Febres said he worked with the coaches on his shooting form for most of the summer. He said he has a quick release, and any rushing of that motion would throw off his shot. His three-point game is much improved, but Febres doesn’t want to be known as a one-dimensional player. The part of his game inside the three-point line hasn’t developed quite as quickly as his outside game. His two-point make percentage is very close to the mark he set last year. Smart said Monday he is very appreciative and not surprised that Febres is shooting the ball better, but acknowledged the rest of the game has room for improvement. Smart said shooters often judge themselves solely on if they are making shots. For Texas, there’s a lot more needed from Febres and a lot more that goes into his contributions than his three-point percentage. Some of that is starting to show. Smart, Febres, and teammate Kerwin Roach all pointed out a play against Michigan State where Febres put up a shot fake, took a dribble inside, and hit a jumper from the mid-range. More plays like that showing Febres has some polish to his game, and Texas will start to reap the benefits. Smart often calls Febres one of the best shooters he’s ever coached, and wants him to be like the player he calls the best shooter he’s ever coached, Troy Daniels. Daniels is making money in the NBA, but played for Smart at VCU. Febres says he’s reached out to Daniels and calls him a role model. Daniels’ career three-point and two-point percentages in the league are identical, just like Febres’ numbers this season. 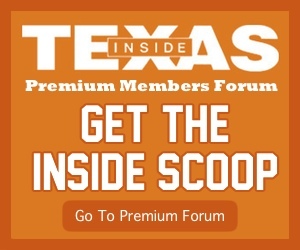 If he can start to truly be a threat both inside and outside the three-point line, Texas will have a weapon on the perimeter it hasn’t had during Smart’s tenure at Texas. 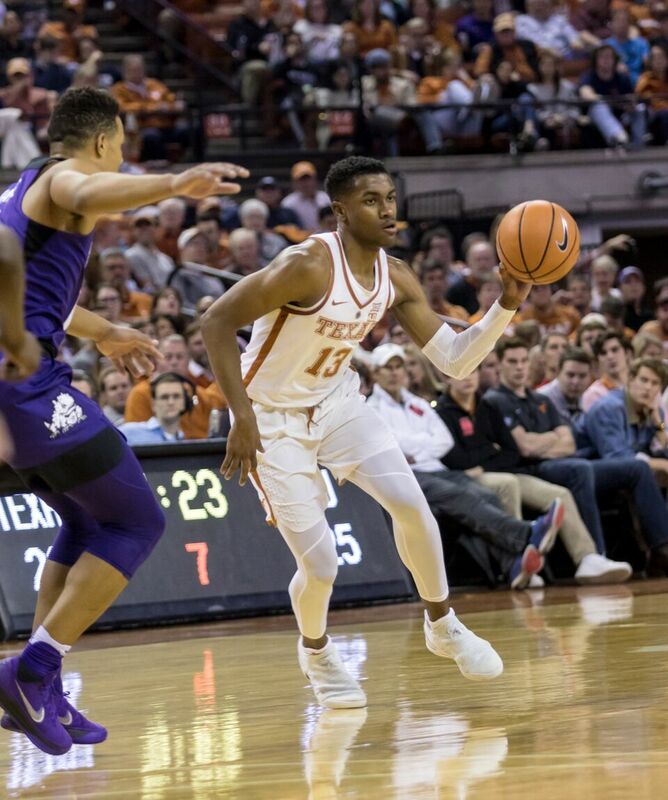 Febres and the Longhorns get an opportunity to continue Texas’ so far successful non-conference campaign Friday against Radford, who knocked off Notre Dame earlier this year.